The kitchen counter is probably one of the most cluttered spaces we have. 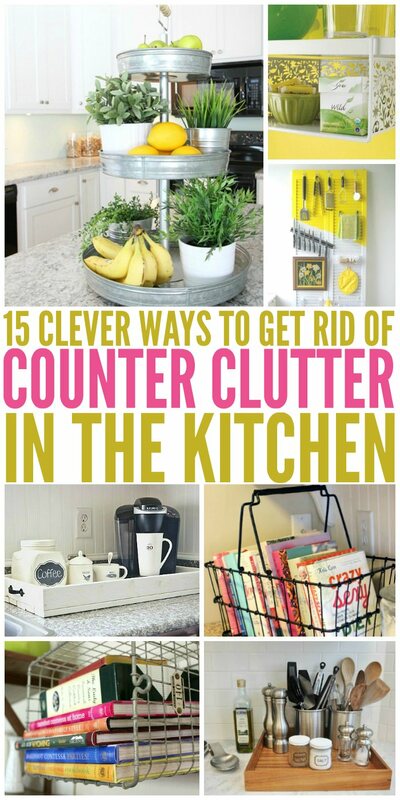 But think no more, look at these 15 clever ways to get rid of kitchen counter clutter. Here’s the deal. We have a lot of counter space in our kitchen, but in all honesty, the countertops are a disaster. Piles of papers, stacks of cookbooks, utensils and several small appliances always clutter the surface. So, what to do to get rid of kitchen counter clutter? Just read these 15 tips and tricks and implement them. Some of them are really useful. 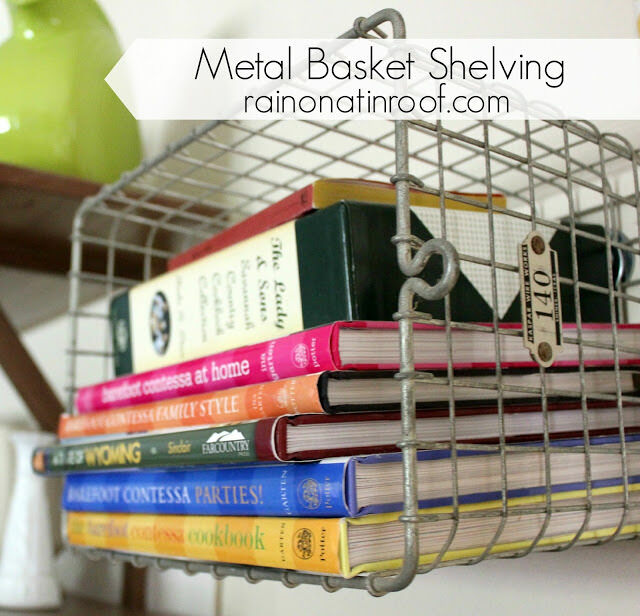 Keep cookbooks off your counters with hanging wire baskets. 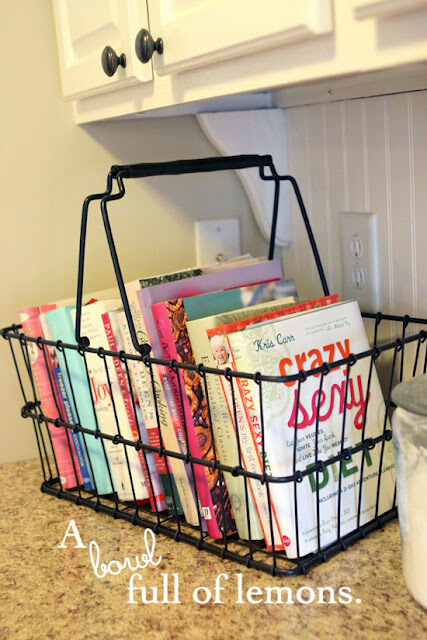 You can also keep a wire basket of cookbooks on the counter, and move them whenever you need more space. 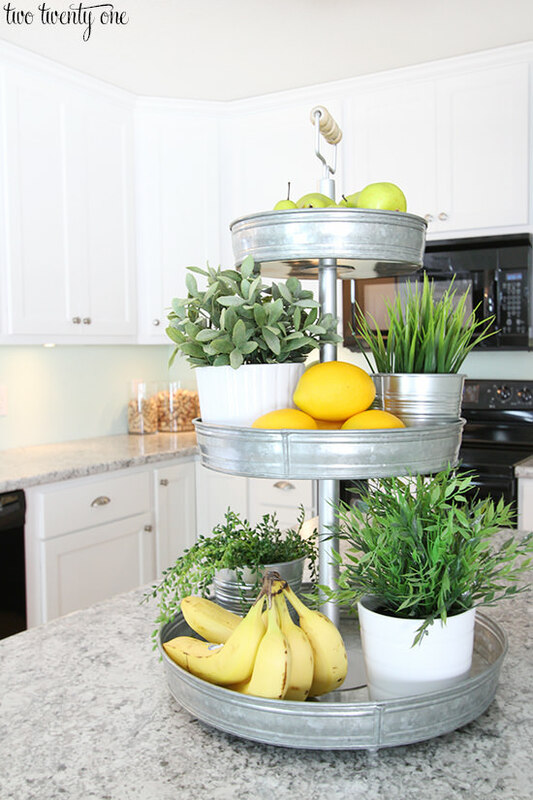 A tiered tray is both functional and beautiful. Use it to hold fruits and vegetables, add some herbs or grow succulents to adorn it, or keep jars to store your spices, etc. Visit Glue Sticks and Gumdrops to read the full article.